I was inspired by Ira's mackup, but I needed to have some configuration files shared between all my computers (ex. 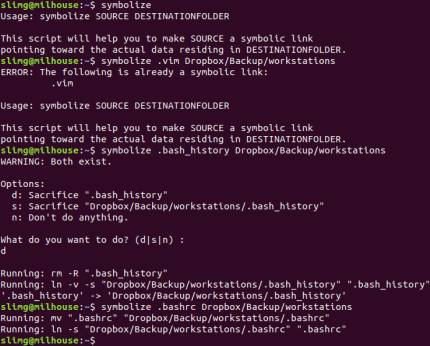 ~/.vimrc), and some available in Dropbox under their own hostname folders for backup-purpose (ex. ~/.ssh).